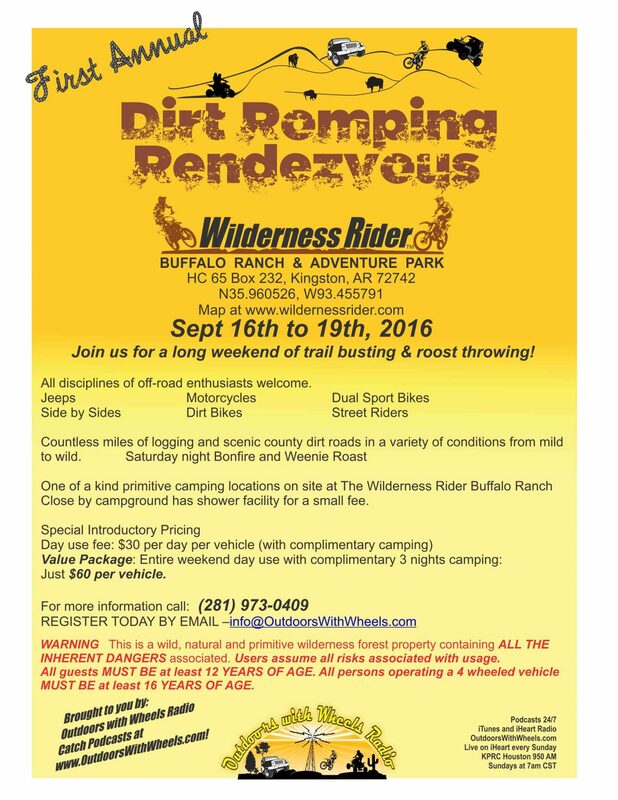 We thank you for sharing the Dirt Romping Rendezvous with your friends! Save and Share our flier by clicking here! Join us for a long weekend of trail busting & roost throwing. All disciplines of off-road enthusiasts welcome. Street riders also welcome, we are surrounded by some of the most dynamic pavement in America. Countless miles of logging and scenic county dirt roads in a variety of conditions from mild to wild. Close by campground has shower facility for a small fee.